I can't get enough of this cute green lace dress. 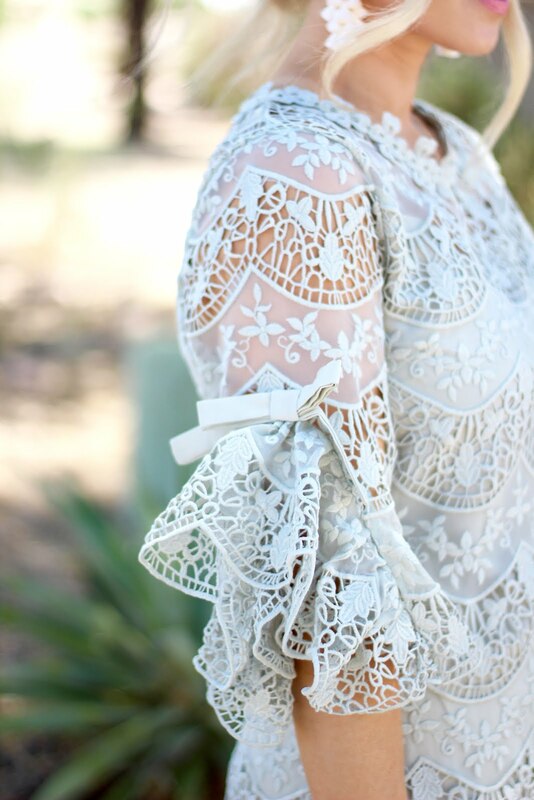 The sleeves are my favorite! And because of the shorter length it also looks super cute with some dressy flat sandals if heels aren't your thing.